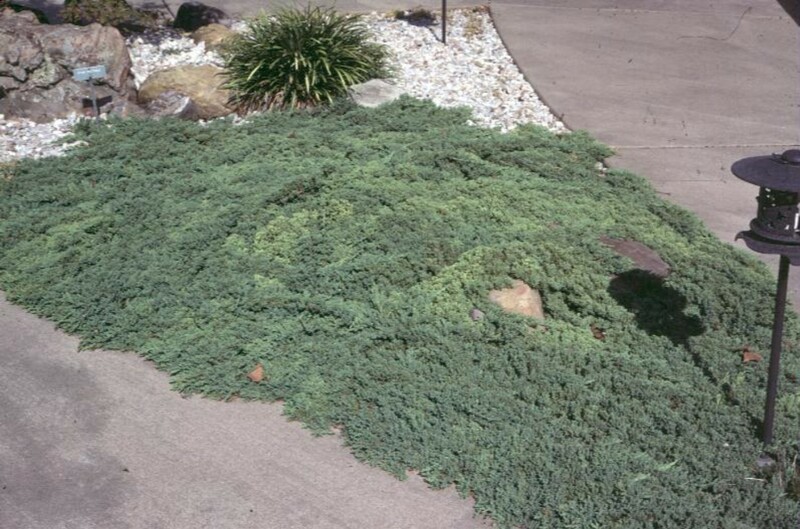 Comments: This evergreen with dense silvery blue foliage and a uniform growth habit and is very low growing. Foliage turns purplish in fall. It makes a good ground cover for large areas. It is used on banks for erosion control. It has the same insect and disease problems as other junipers.